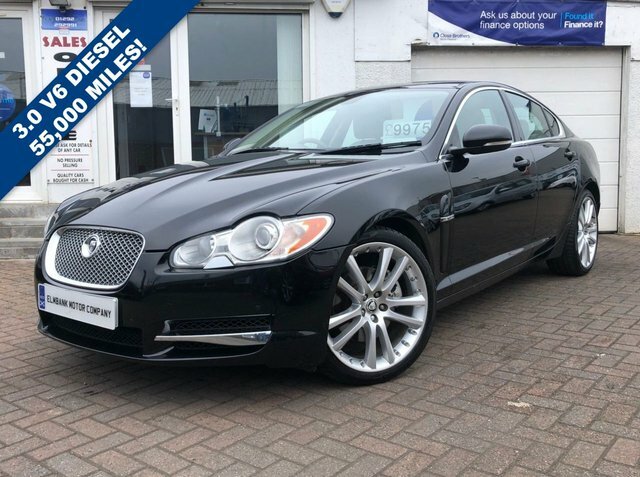 2011 11 JAGUAR XF 3.0 V6 PREMIUM LUXURY 4D AUTOMATIC DIESEL. A LOVELY CAR ON OFFER, VERY LOW MILEAGE JUST COVERING 55,536 FROM NEW. ON BOARD SPECIFICATION INCLUDES ALLOY WHEELS, DIGITAL CLIMATE CONTROL, FULL LEATHER INTERIOR, FRONT HEATED SEATS, CRUISE CONTROL, CLIMATE CONTROL, ELECTRIC PACK, AND REVERSE CAMERA. SUPPLIED WITH 12 MONTHS MOT. WE WELCOME ANY AA OR RAC INSPECTION AND CAN OFFER BESPOKE FINANCE. TO ARRANGE A VIEWING OR TEST DRIVE PLEASE CALL ELMBANK MOTOR COMPANY AYR ON 01292 292991.